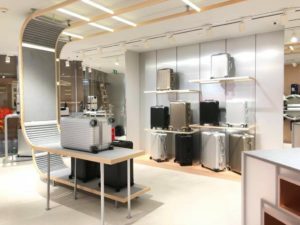 RIMOWA, the manufacturer of premium luggage, has recently opened a location at the TaiKoo Hui Mall in China with a new design concept. The design was developed in collaboration with the Architectural firm SPaCe Architects. 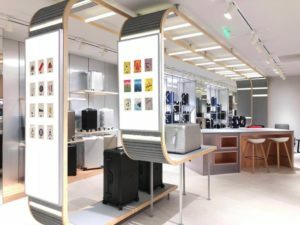 Rimowa and SPaCe Architects are currently working on two locations in Las Vegas and Bal Harbor FL. SPaCe Architects was formed by Enrico Como and Scott Michael Stapleton in 1996 with offices in New York, Florida, Los Angeles, Toronto, and Milan, with members holding licenses to practice architecture in 13 states within the US. We are a full-service architectural firm with expertise in residential, multi-family residential, luxury retail, and commercial interior design sectors.